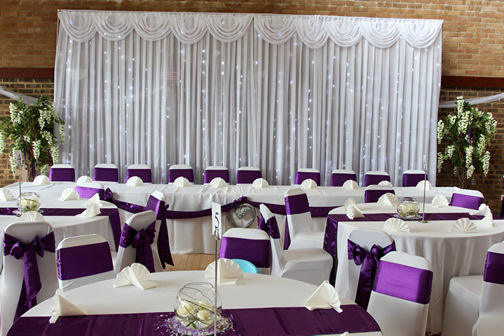 White Rose Finishing Touches are able to offer a wide range of products and services to help create the perfect wedding. We offer a free private consultation either at our premises, your home or chosen venue to discuss your ideas and expectations for your special day, we are just a phone call away with our services, friendly help and support. 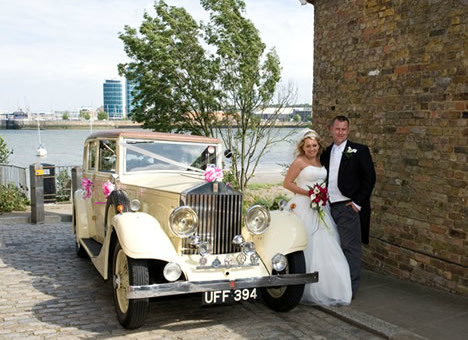 Our aim is to focus on making your day as perfect and as stress free as possible. In the world of weddings it's the old cliché', but first impressions really do count and the first part of your day that your guests will be see is your 'Save The Day Cards' or Wedding Invitations. we offer a wide range of both from traditional, wallet or pocket fold these are totally bespoke to your colour scheme and theme, this can then be applied too all your stationary requirements Table Plans, Name Cards, Table Names/Numbers even Favors. Setting the scene, we can supply all your needs from Chair Covers and Sashes, Table Runners and Swags, Centre Pieces, Bay Trees, Wedding Post Boxes and Wishing Well, I could go on so whether you are looking for the understated, the elegant, the complete wow factor whatever your ideas, we can help make your dream wedding come true, take the first step and telephone 01634 409949.